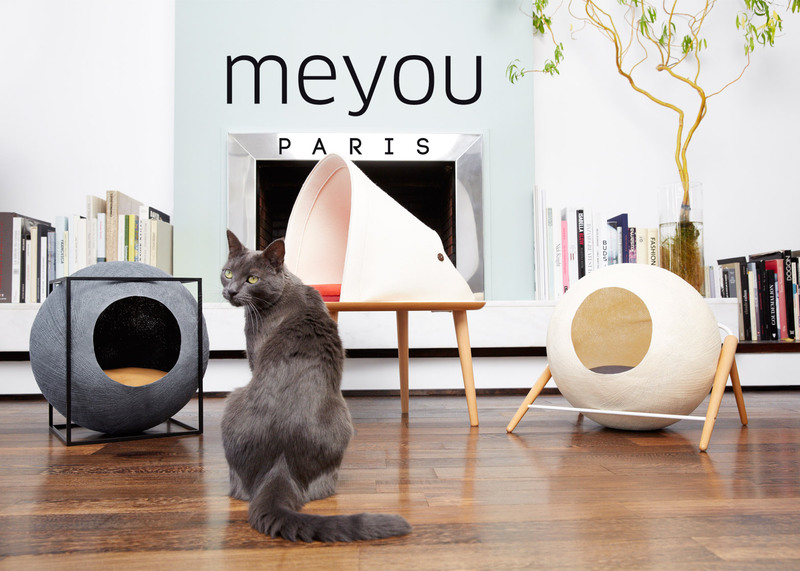 Feline furniture brand Meyou has launched its first collection with three designer cat beds (+ slideshow). 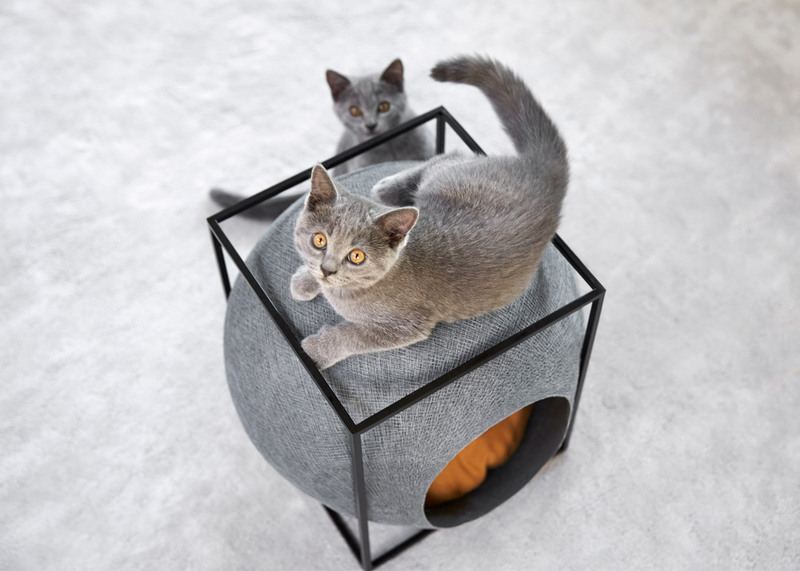 The company – which says it wants to "create a bond between our cats' comfort and our own love for design" – has used only natural materials in its series of cat beds: The Ball, The Cube and The Bed. 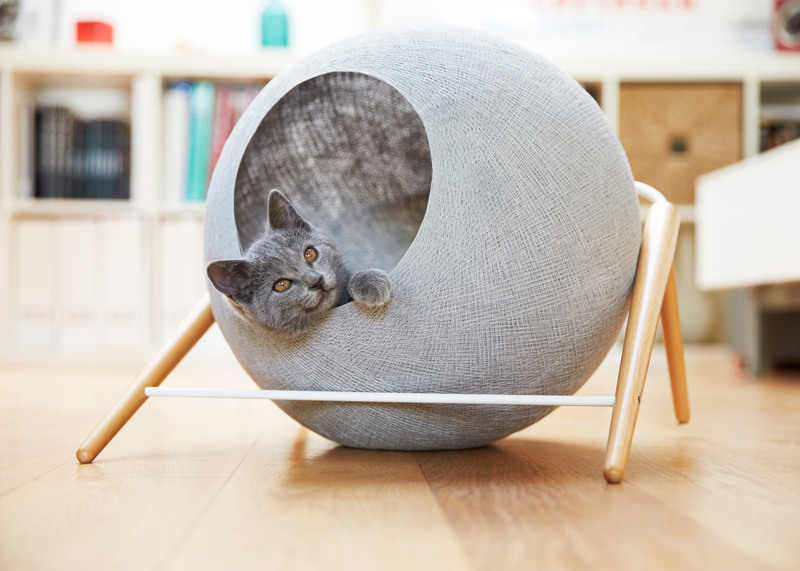 The Ball features a globe-shaped cocoon constructed from woven cotton, with a circular opening for pets to climb in and out. Pairs of angled wooden legs are attached to either side of the bed for additional support. 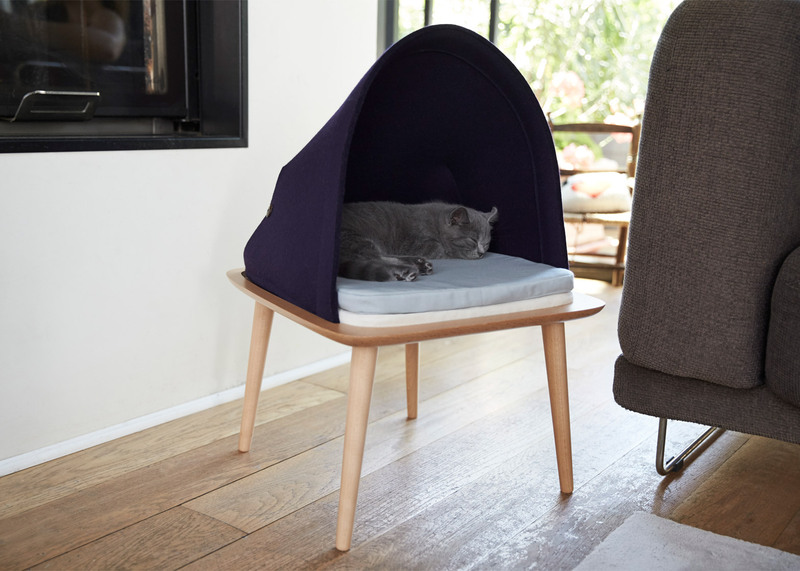 The Cube has a similar cotton cocoon, but is housed in a metal cube, while The Bed offers cats a "vantage point" from an enclosed wool-felt hood placed on top of a four-legged solid wood table. Each of the items has been manufactured in France, and the brand has partnered with an organisation dedicated to rehabilitating people with disabilities through work. Meyou founder Aude Sanchez apparently got the idea from an unlikely source – a TV report condemning dictators. "Designers had created scratching pads with effigies of Putin or Kim Jong-Un," she said. "They had succeeded in mocking the political regime and creating a rather successful buzz." 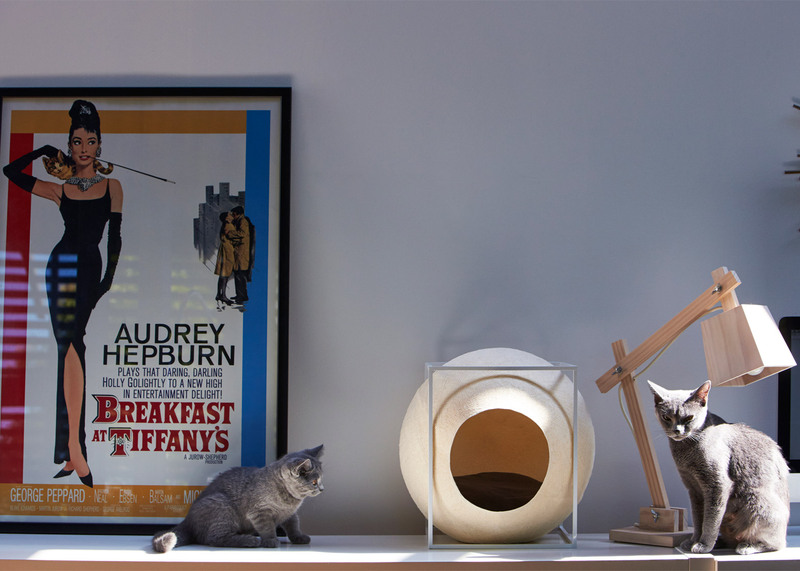 "This documentary triggered awareness about the fact that cat accessories have never been considered on a design level," she added. 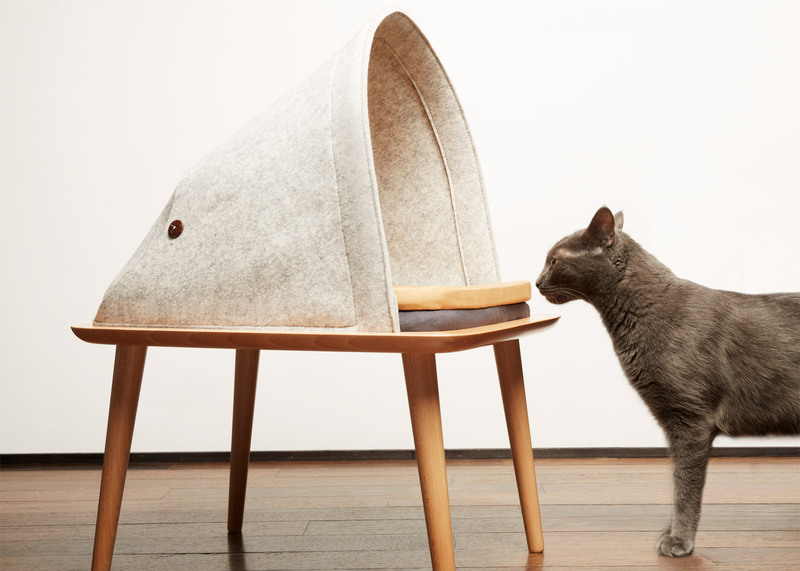 "Today, a functional and elegant line of cat products doesn't exist." 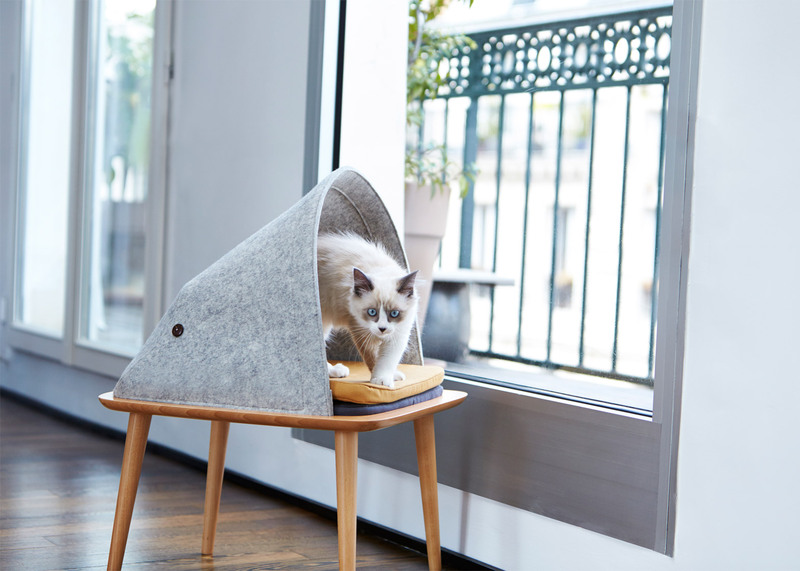 Selecting the brand name to reflect the cohabitation between pets and owners – as well as Mayu, which means cocoon in Japanese – Sanchez partnered with industrial designer Guillame Gadenne and spent a year developing the debut line of products. 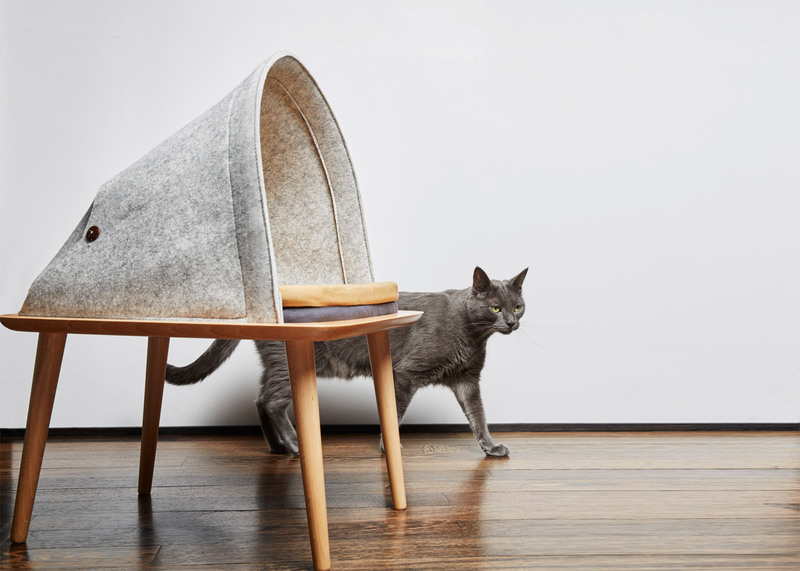 Previously, architectural interpretations of animal beds were created by a group of Los Angeles designers as part of a one-night-only Architects for Animals fundraiser in 2014. Kenya Hara's ongoing Architecture for Dogs initiative invites architects and designers to create downloadable structures that are just for dogs, with architects including Toyo Ito, Shigeru Ban and Konstantin Grcic all contributing pieces.